A Company positions itself as its beautiful camera and music phone manufacturer. Vivo is also known for its marketing. We already knew that Vivo is the company that partnered with Synaptics to launch the first smartphone in the world with a fingerprint sensor under the display, and CES 2018 confirmed it. Last year, the Apple iPhone X was rumored to have a fingerprint sensor under the display and Samsung also, unable to implement it. Nowadays,” Technology spreads rapidly, with the innovative minds people complete their long time taken work in a second”. After, the launch of the first mobile with fingerprint sensor the technology improves with the new smartphone in order to respond fast and accurate. 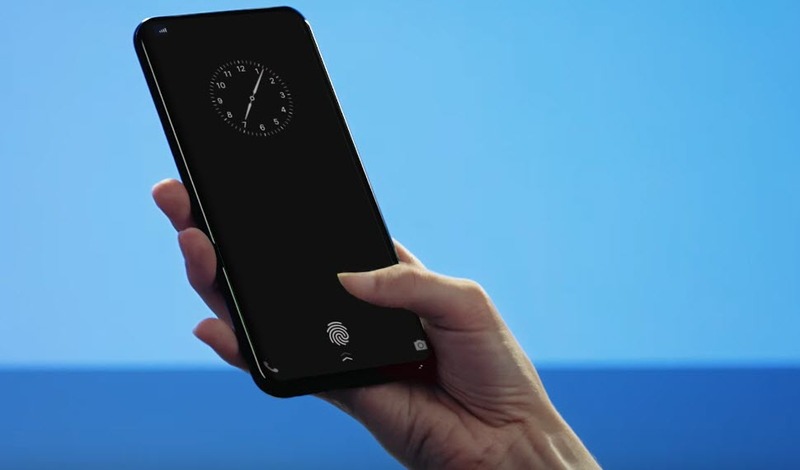 The new Vivo smartphone fingerprint sensor under the display is a newer tech, it is seen that the Vivo handset was slower to respond when someone put a thumb on the on-screen fingerprint prompt. It is almost same with a traditional fingerprint sensor, the only change is a slower response which will soon change as the development of this new technology increases. Previously, Samsung and Synaptics were collaborating this technology on the Galaxy S8 which was not successful till now. The technology works by recognizing through the gaps between the pixels in an OLED display and recognizes your skin patterned.